In the centuries since the ancient Greeks first pondered them, paradoxes have flourished throughout society, delighting and infuriating millions of people. Some are just problems that have counterintuitive answers, while others are unsolvable problems. Here are 10 to melt your mind. The philosopher then argues that every time a raven is seen—and all ravens are black—it provides evidence for the first statement. In addition, every time an object that isn’t black is seen, such as a green apple, it provides evidence for the second statement. 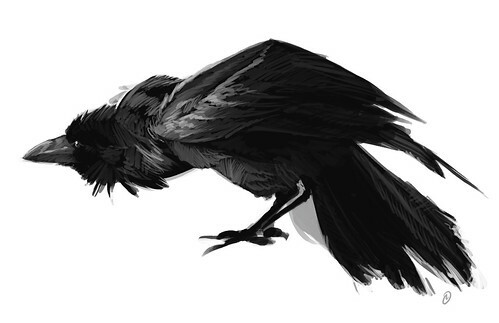 The paradox arises because every green apple also provides evidence that all ravens are black, since the two hypotheses are logically equivalent. The most widely accepted “solution” to the problem is to agree that every green apple (or white swan) does provide evidence that all ravens are black, with the caveat that the amount of evidence each one provides is so minutely small that it is inconsequential. Mike tells you that he has two children. You ask “is either of them a boy?”, and Mike says “yes.” What is the probability that Mike has two boys? Mike will always answer “yes” if he has BB, BG, or GB (a 3/4 probability), and “no” if he has GG (a 1/4 probability). Since the probability of BB is 1/4, the answer is (1/4)/(3/4)=1/3. Michelle tells you that she has two children. You notice that she is wearing a pin for Bertrand’s School for Boys, so you can safely assume that she has at least one boy. What is the probability that Michelle has two boys? If Michelle has BB (1/4) and wears such a school pin, it must (as in probability 1) be from Bertrand’s. So the probability of BB *AND* wearing a Bertrand pin is (1/4)*(1)=1/4. If she has BG or GB (1/2), she is just as likely to be wearing a pin from Gardner’s School for Girls; that is, a probability of 1/2 for each school’s pin. So the probability of BG or GB, *AND* wearing a Bertrand pin, is (1/2)*(1/2)=1/4. The answer is (1/4)/(1/4+1/4)=1/2. Martin has two children. Given that the gender of one of them is the same as my only child’s, what are the chances that he has two children of the same gender? If I have a boy, your answer says that this probability is 1/3. And if I have a girl, the same logic says it is also 1/3. Since those are the only two possibilities, and the answer is 1/3 regardless of which possibility turns out to be true, you can conclude that the chances that Martin has two children of the same gender is 1/3. But you have no information that could let you conclude anything but 1/2.